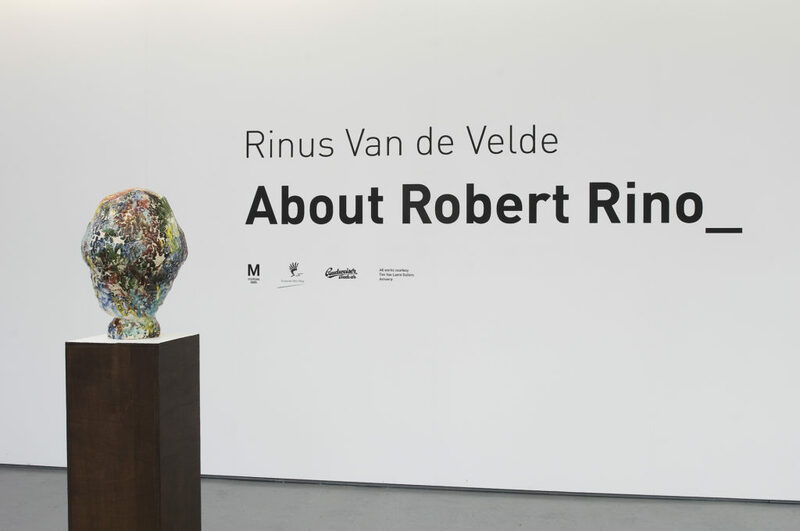 About Robert Rino by the Flemish artist Rinus Van de Velde is a Nest-filling installation in which Van de Velde tells the story of Robert Rino. 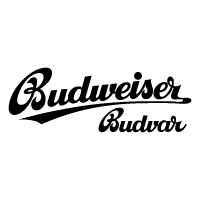 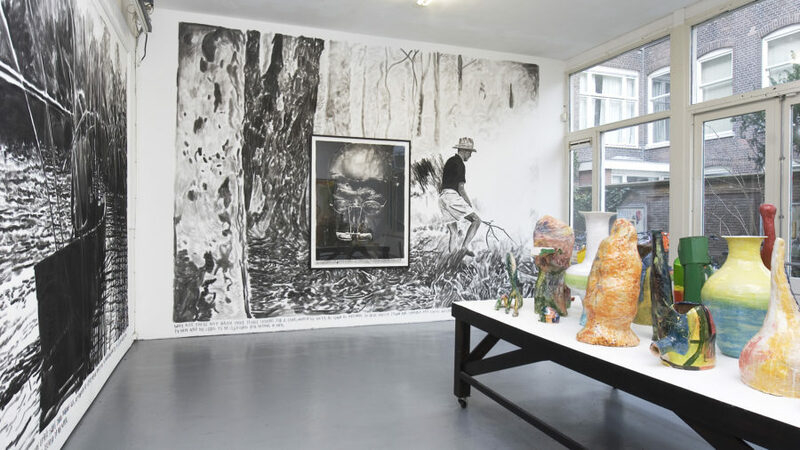 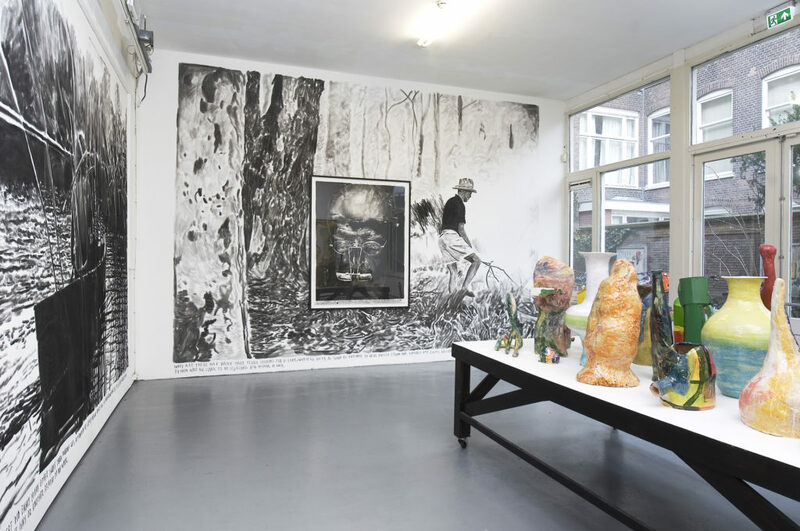 The works of this fictional artist, which are produced by Van de Velde can be found in the drawings that fill the walls of Nest from top to bottom, but are also presented within the in situ installation itself. 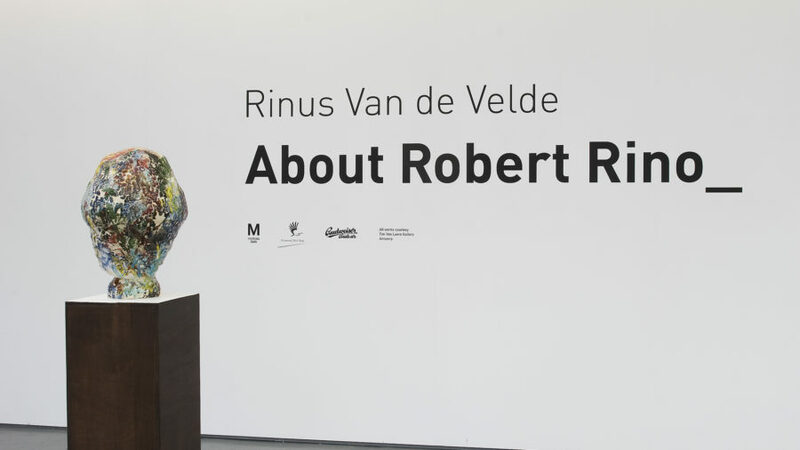 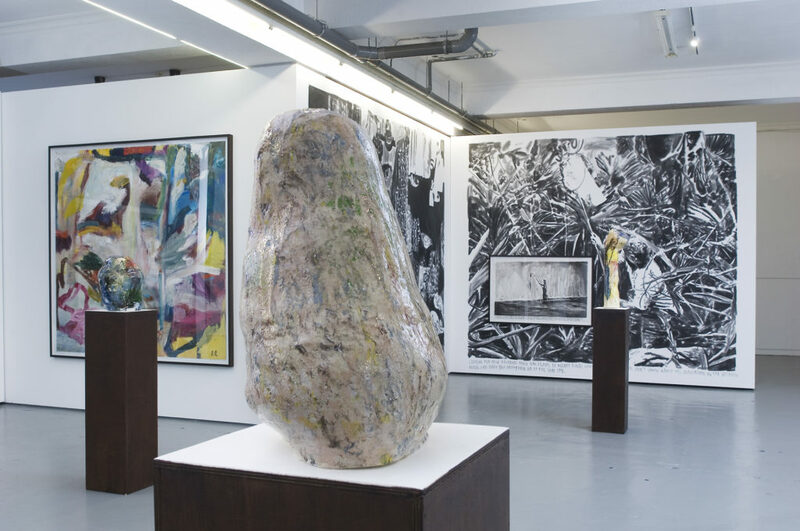 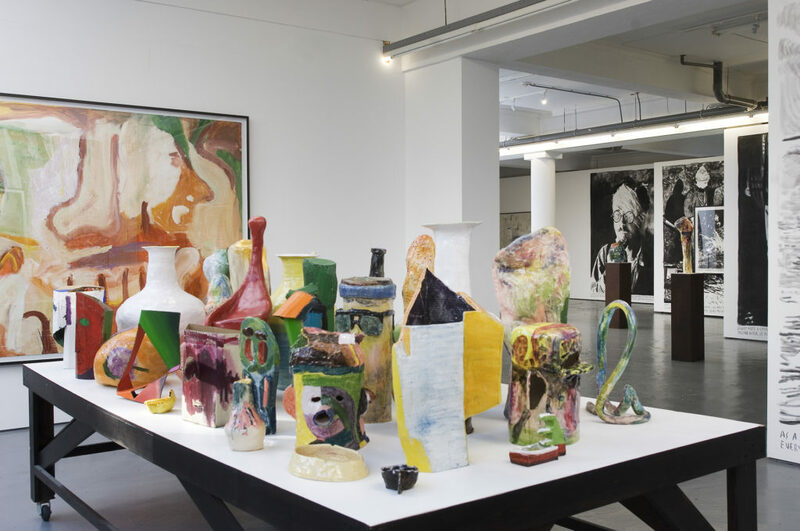 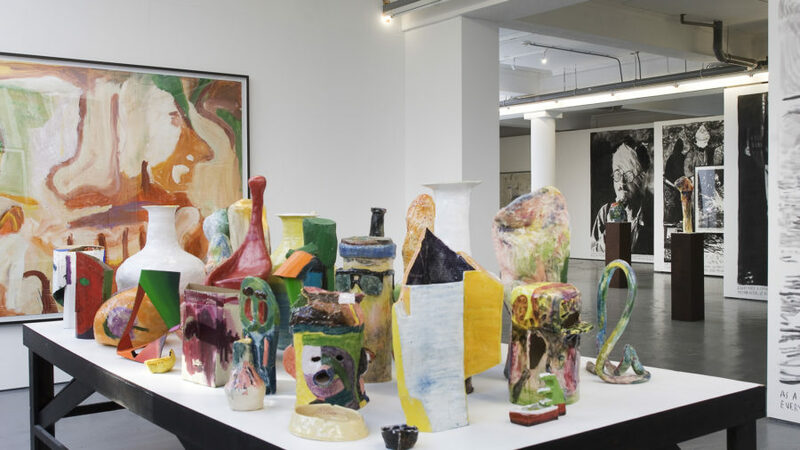 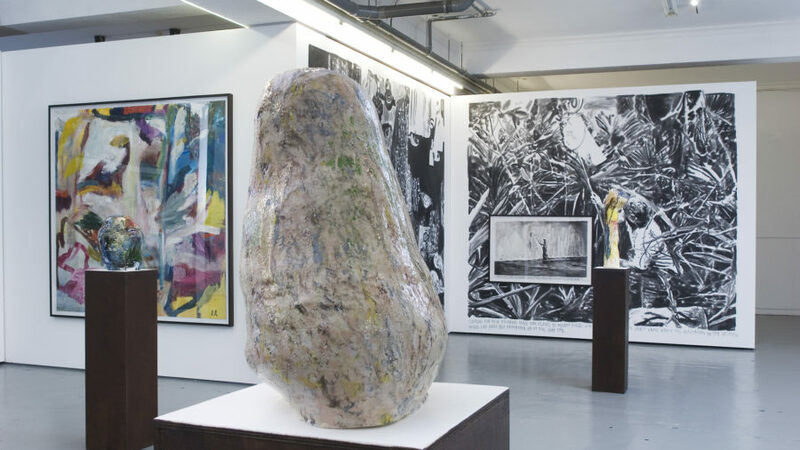 Within this presentation Van de Velde returns to the practise of drawing large murals which earned him his acclaim, while at the same time it’s also the premiere of his ceramic objects, presented alongside the large cardboard sculptures which Van de Velde introduced the last few years. 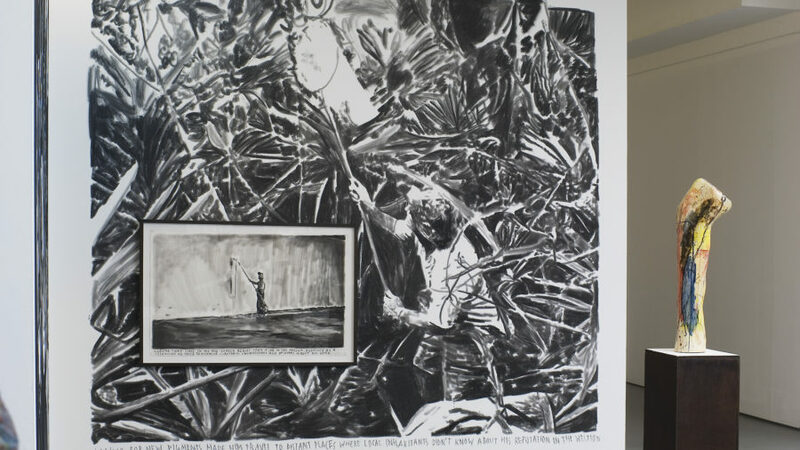  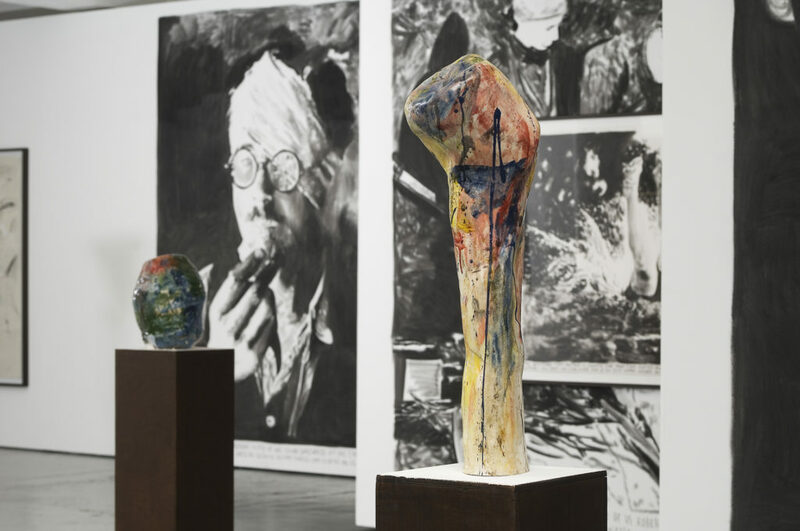 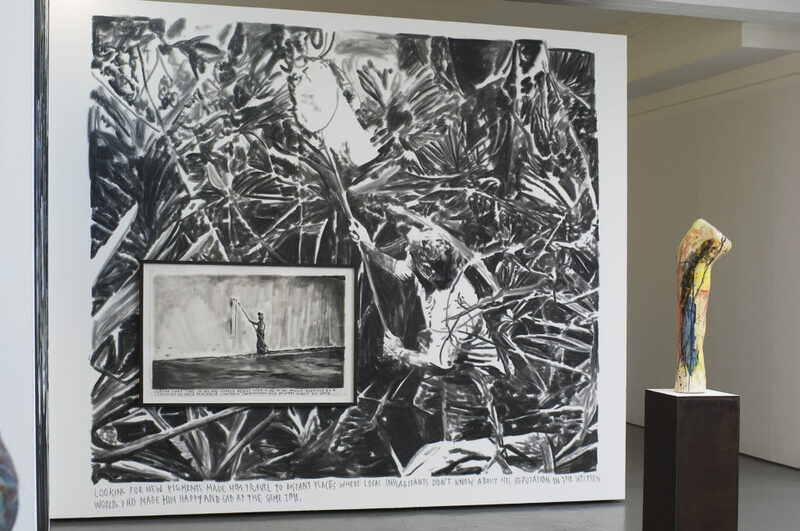  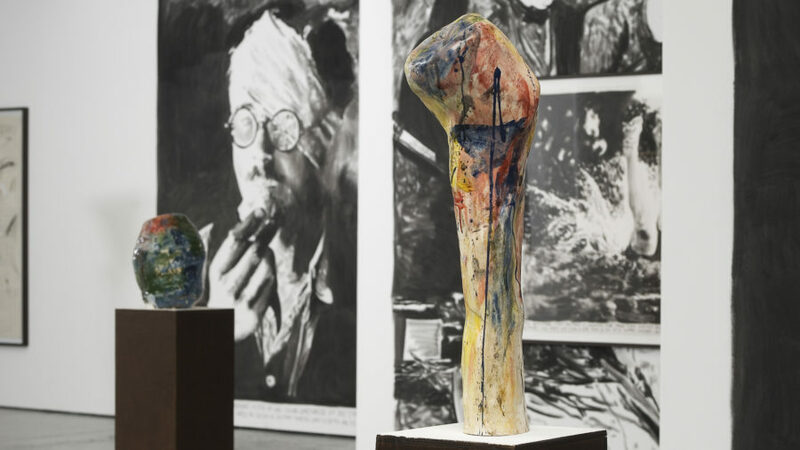 The presentation coincides until March 5th with the presentation of Van de Velde at the Gemeentemuseum Den Haag, which is based on the fictional sculptor Isaac Weiss and the artist colony in which he supposedly resided.